Thanks for stopping by! Today, members of the ODBD Design Team are sharing new inspiration with the products from the April 2017 Release. My card uses a sentiment from the To My Friend stamp set along with the new Roses/Rose Leaves die sets. 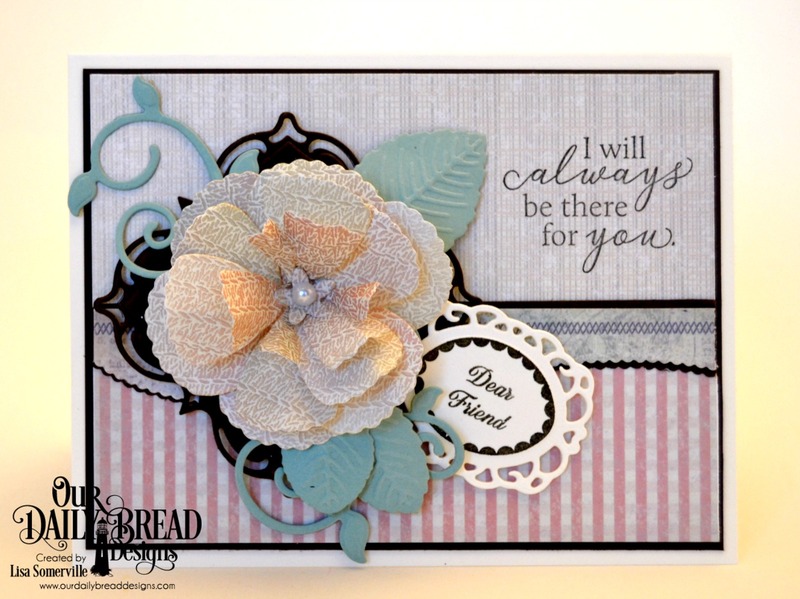 The "dear friend" sentiment is from the Lovely Flower stamp set, that was stamped onto the Fancy Fan die to create my tag. My complete list of ODBD Products can be found listed below. Lisa, love your rose. This card is so beautiful. Thank you for the inspiration. 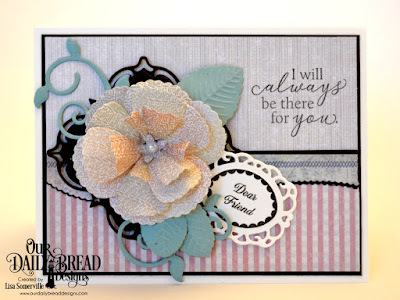 Love the paper mix and use of dies, Lisa! Lovely sample! !